Born and raised in Rio de Janeiro, Natalia is fascinated by Japanese culture and entertainment. She also has an interest in traditional Arabic dance. She speaks Japanese in an awkward, non-fluent manner and views the Middle East as a haven, like in Aladdin. She is a skilled belly dancer and landed the titular role in the Voyage of the Black Rose Princess event in April 2014. 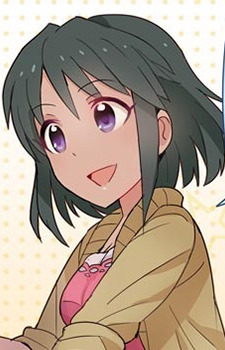 In the tie in Cinderella Girls Theater skits, Natalia is an exciting girl with a lack of common sense. She loves sushi and bananas, but her attempt at combining them both ended with predictable results. When she packs her bags for an overseas event, she puts her wedding dress costume with flowers and an entire box of sushi in her suitcase. They both rot while on the journey and stink up the airport. She believes that three people can be married and has picked up on bad habits of typical idol fans. Natalia seems to limited knowledge about Japan, as she had to learn about the nation’s New Year festivities, but does know of the shishimai and likes its dance. She normally spends New Year’s in Rio, watching the fireworks. Natalia also finds it easier to play heroic roles than evil roles and is absolutely terrified when Yao Fueifuei is attacked by pigeons.